I am always sending the same canned response to students who would like to do an FYP or a dissertation with me on the subjects I dabble in, Computer-Aided Drug Design (Discovery), Virtual Screening (VS), Ligand-based and Structure-Based methods, Cheminformatics, Bioinformatics and Computational Chemistry. Perhaps the first step for any student is to realize the hierarchy of these fields (and the differences between them). I am including a reading list – which helps you bootstrap the subject, and hopefully helps you determine if this is really something for you. The jargon will be daunting at first (especially if you are a computer scientist), but that is only an initial hurdle and hopefully you get familiar with the big words quickly. You do not need to understand everything, you just need to understand enough. Remember brick walls are there to show us how badly we want things! (Watch this: long and touching). This is a list, in no particular order, of must-read papers (hopefully before we meet again). This list will be updated regularly. 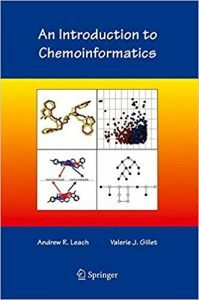 Machine learning methods in chemoinformatics, John B. O. Mitchell, 2014. Computational Methods in Drug Discovery, Sliwoski et al., 2014. Computational methods in drug discovery, Leelananda et al., 2016. (somewhat similar to the above including title!). Computer Aided Drug Design: Success and Limitations, Baig et al., 2016. Role of computer-aided drug design in modern drug discovery, Macalino et al., 2015. Virtual Screening: A Fast Tool for Drug Design, Vyas et al., 2008. Virtual Screening in Drug Design – Overview of most frequent techniques, Kucera, 2016. Structure-Based Drug Screening and Ligand-Based Drug Screening with Machine Learning, Fukunishi, 2009. Machine-learning scoring functions to improve structure-based binding affinity prediction and virtual screening, Ain et al., 2015. Deep Learning in Drug Discovery, Gawehn et al., 2016. New Methods for Ligand-Based Virtual Screening: Use of Data Fusion and Machine Learning to Enhance the Effectiveness of Similarity Searching, Hert et al., 2006. Molecular similarity analysis in virtual screening: foundations, limitations and novel approaches, Eckert, 2007. Molecular fingerprint similarity search in virtual screening, Adrià Cereto-Massagué et al., 2015. An overview of molecular fingerprint similarity search in virtual screening, Muegge et al., 2015. Structure-Based Virtual Screening for Drug Discovery: a Problem-Centric Review, Cheng et al., 2012. Before starting my D.Phil. I preparation-read “An Introduction to Cheminformatics“, by Andrew Leach (now ChEMBL supremo). Other than (the ridiculous) comic sans font choice for the title, it will cover the most important topics of cheminformatics, from the ground up. Highly recommended. Do you have any suggestions for inclusion in this list? Yes? Please contact via the comments section below.